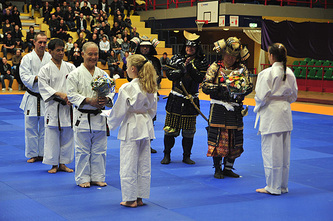 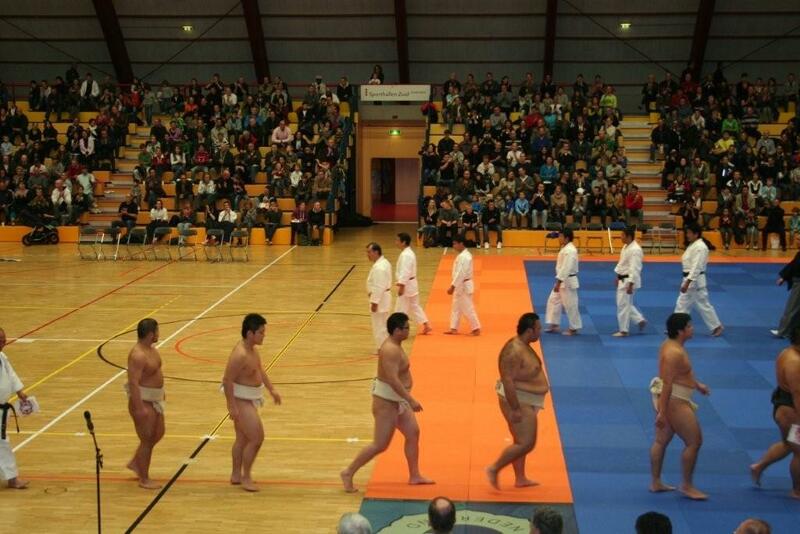 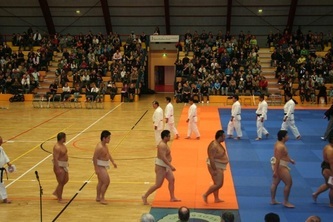 celebrate 400 years of commercial rapports between Holland and Japan.It was a big event, with 73 martial art Masters from Japan and Okinawa participating. 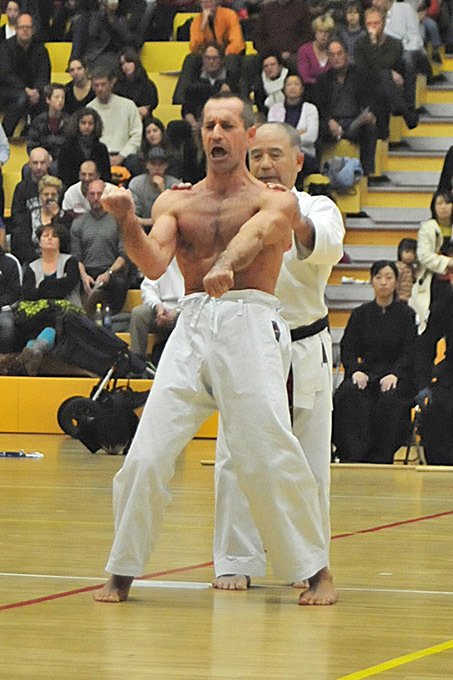 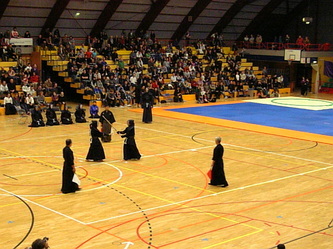 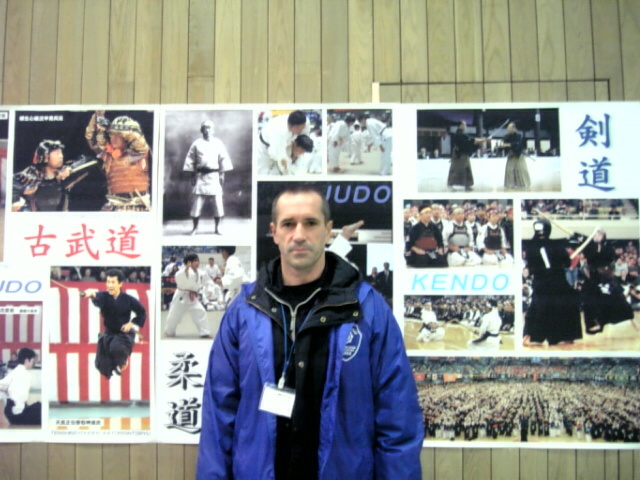 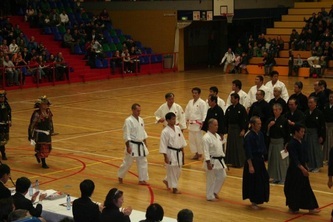 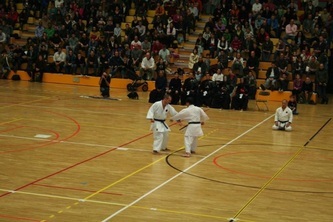 70 Masters from the Japanese mainland and Hokkaido represented modern martial arts (Judo, Kendo, Kyudo, Sumo, Karate-do, Aikido, Shorinji kenpo, Naginata, Ju-kendo) and classical (Takenouchi-ryu Ju-jutsu, Katori-Shinto-ryu Ken-jutsu, Yagyu Shingan-ryu Katchu Heiho). 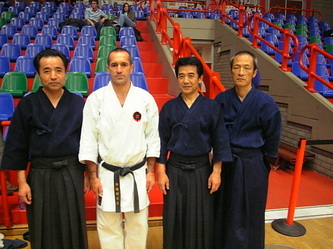 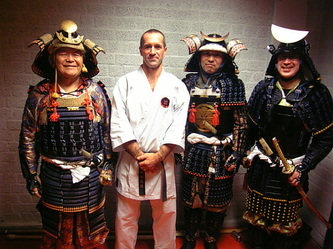 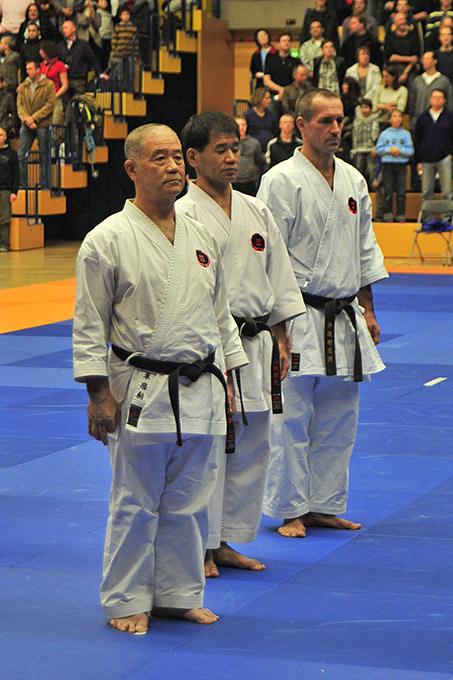 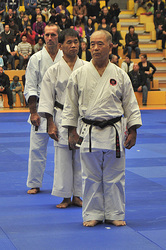 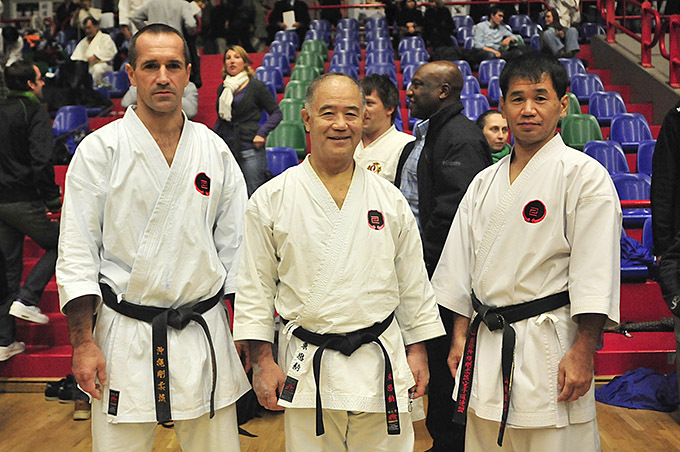 Higaonna Morio Sensei, Yamashiro Katsuya Sensei and I (Italian) represented Okinawa Goju-ryu bujutsu . 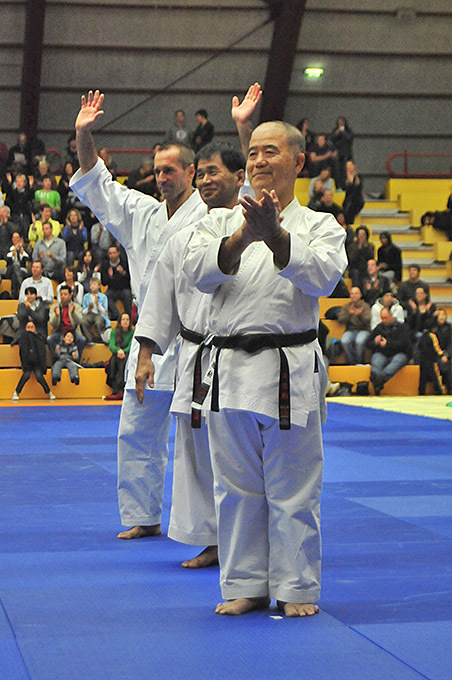 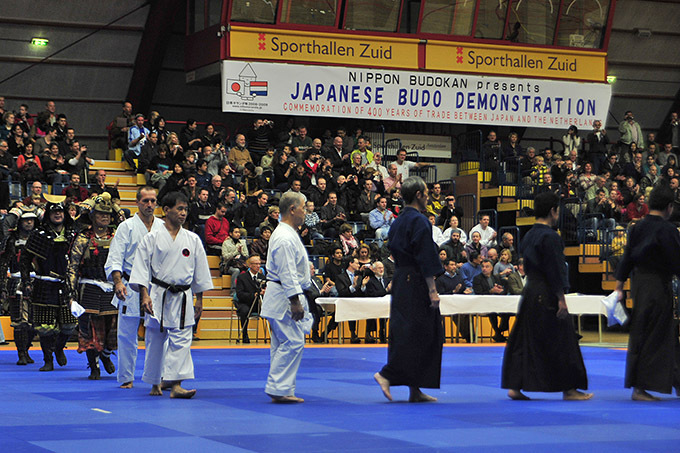 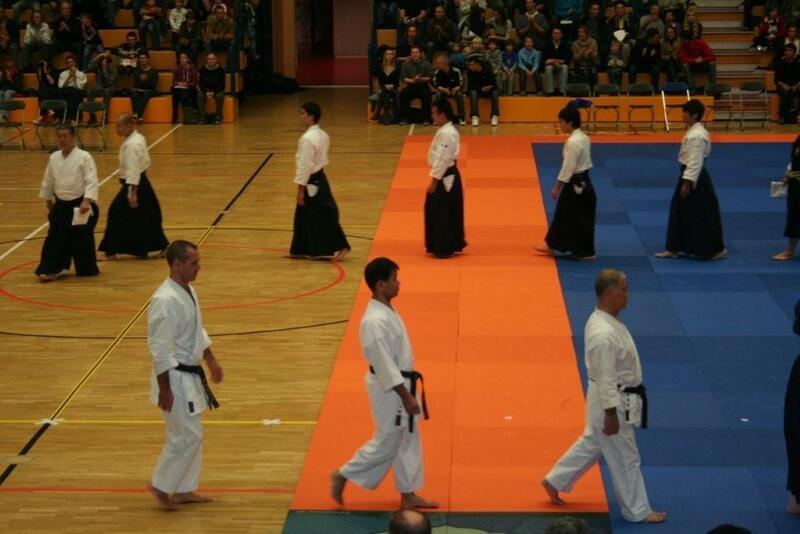 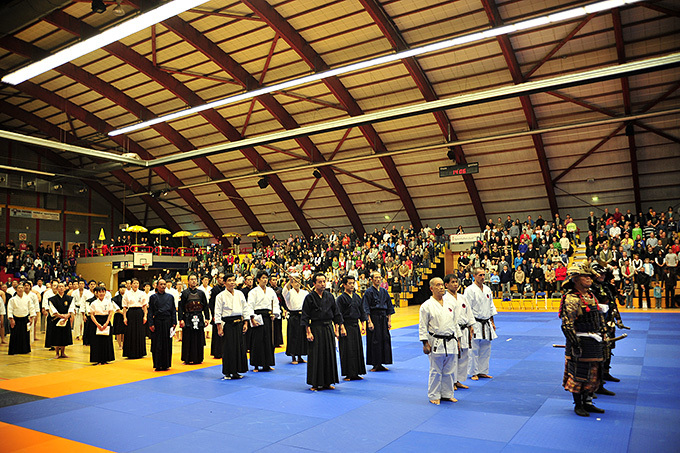 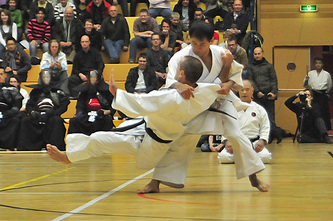 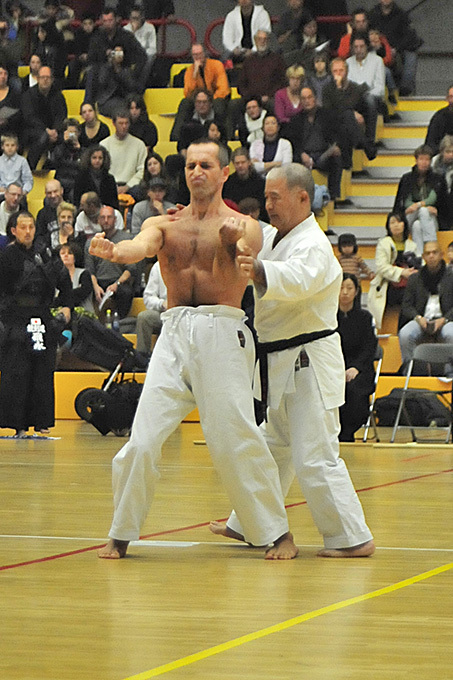 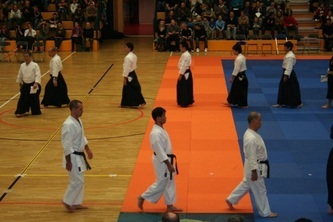 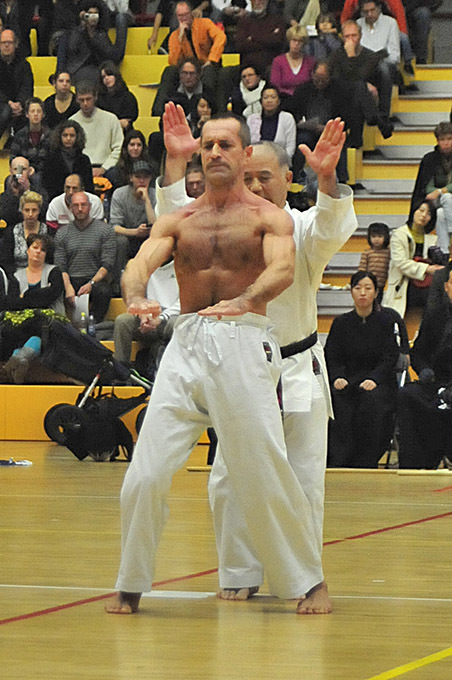 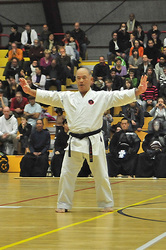 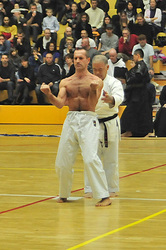 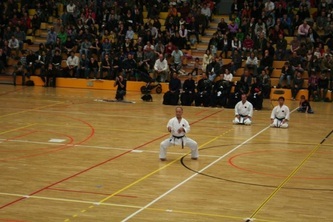 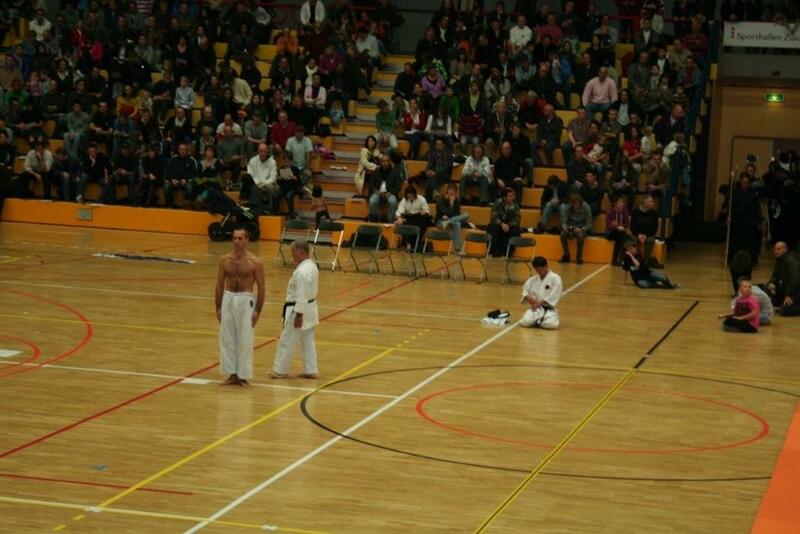 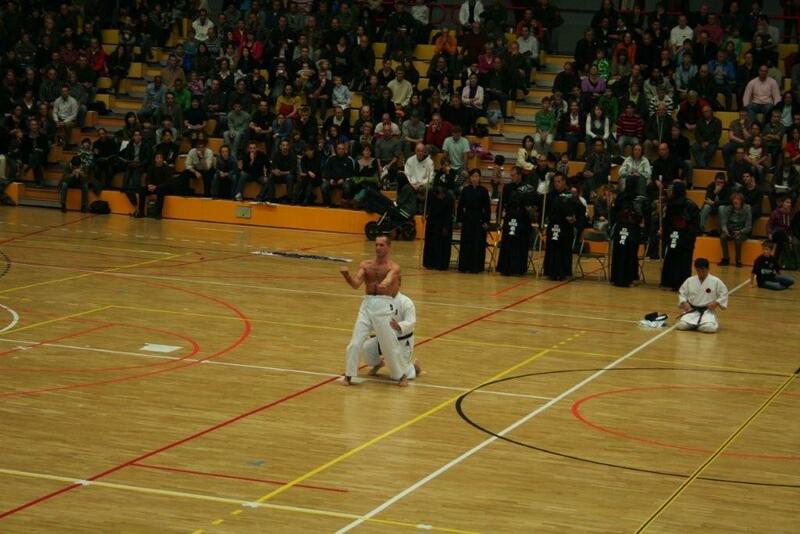 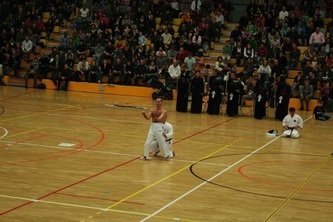 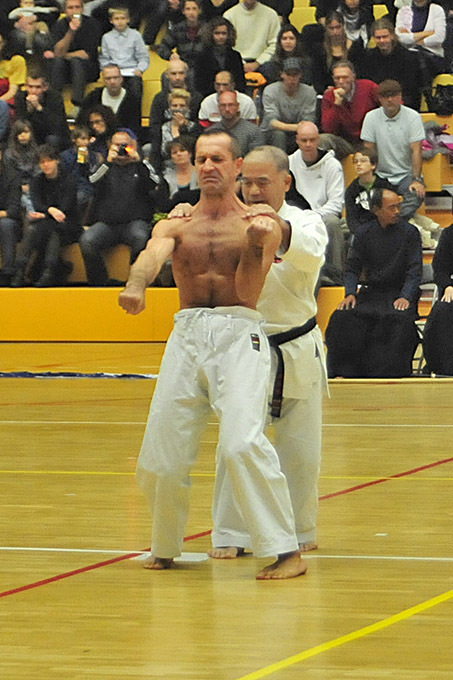 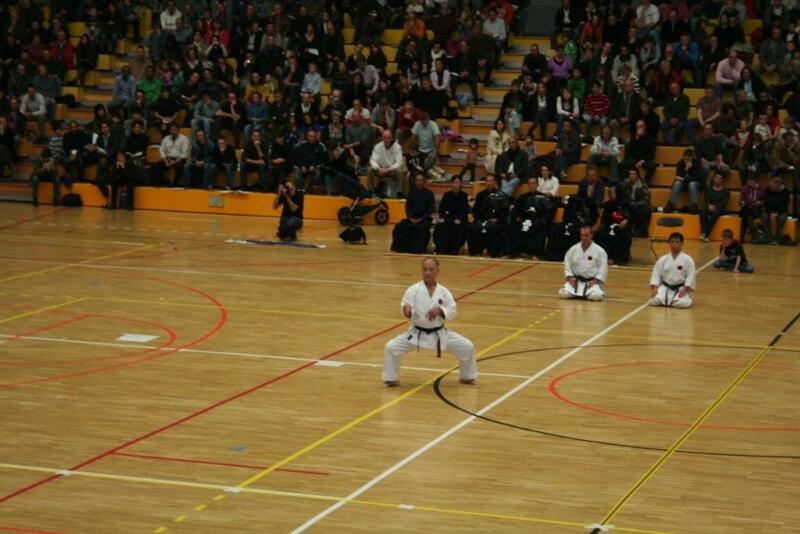 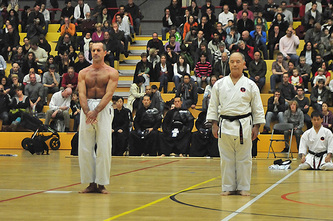 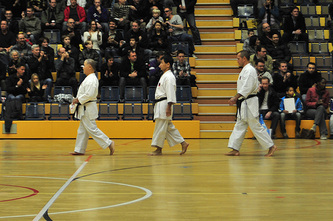 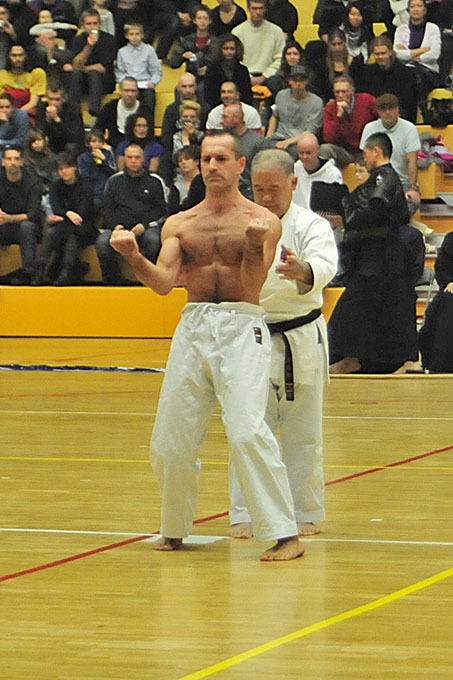 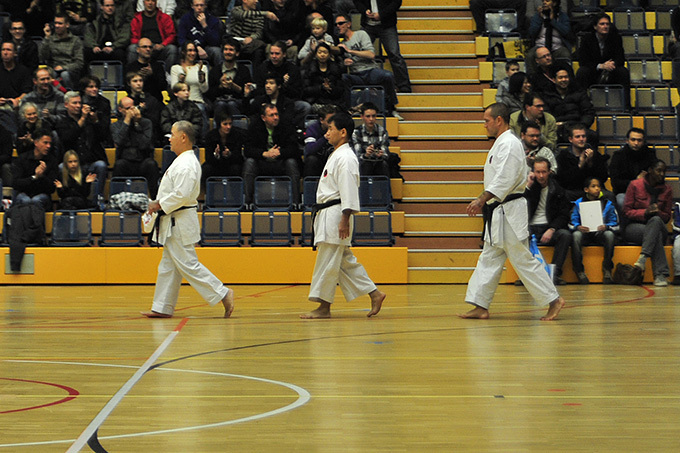 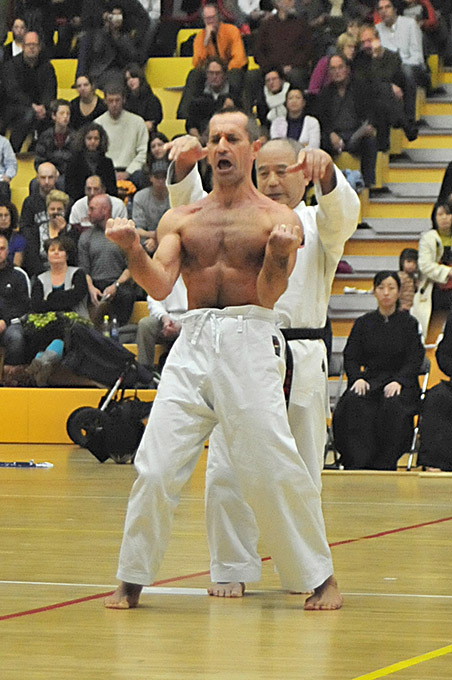 A very busy week plenty of demonstrations and seminars and others: the Sunday 8, the biggest demonstration held at Sporthallen Zuid in Amsterdam where ,about Goju-ryu bujutsu, first I performed Sanchin Kata and Higaonna Sensei did the "Shime". 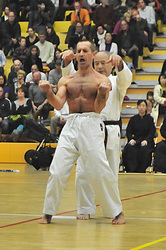 then Higaonna Sensei performed Suparinpei Kata and Kakie with Yamashiro Sensei,finally Yamashiro Sensei and I demonstrated body-conditioning and Yakusoku-kumite. 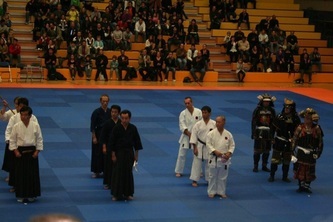 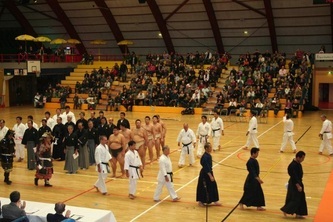 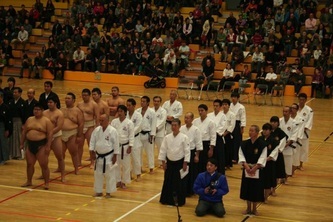 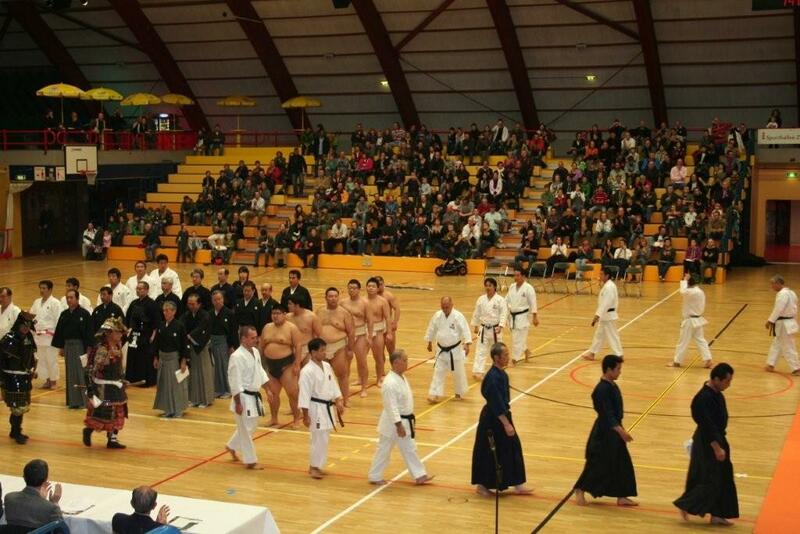 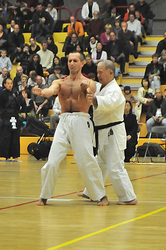 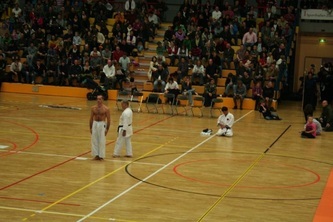 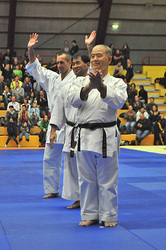 All group partecipating did an excellent performance, with 3500 spectators waching the show, and I am honored to have been part of this celebration, along with those famous, high level Masters and very grateful to Higaonna Sensei and Yamashiro Sensei for giving me this important opportunity.